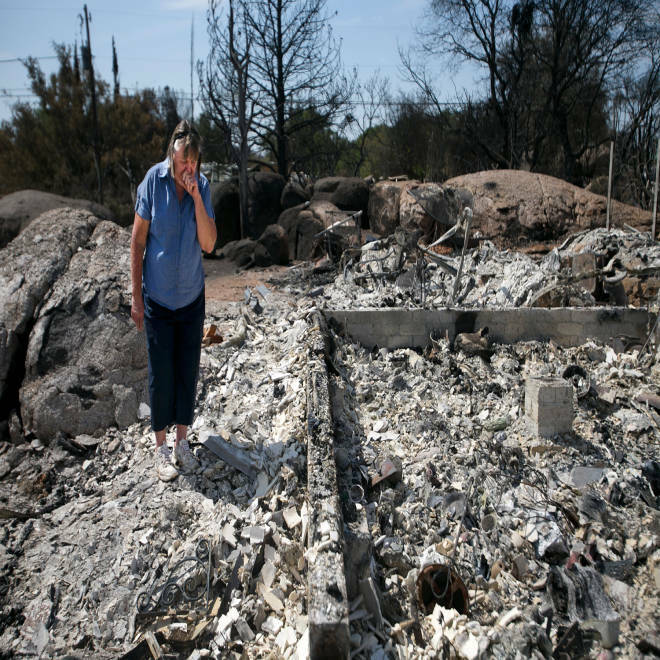 Judy Aldridge, a resident of Glen Ilah, Arizona for 32- years, looks on in the debris of what was her home that was completely destroy by the Yarnell Hill fire. A vicious blaze that claimed the lives of 19 firefighters and scorched thousands of acres of Arizona wild land has been 100 percent contained, officials said late Wednesday. The Yarnell Hill fire sparked June 28, when lightning struck dry brush. Whipped up by strong winds it grew quickly over the rough, sun-parched terrain, turning more than 200 structures, including many homes, into cinders as it spread. Hundreds were evacuated to the neighboring towns of Wickenburg and Prescott and roads were shut, as more than 700 firefighters battled to control the inferno. 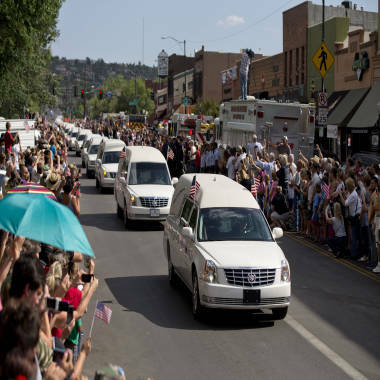 They included the 19 members of the Granite Mountain Hotshot crew, who tragically died June 30 as they tackled the fire. After the wind changed, each of them had deployed their emergency shelters -- a flame retardent device designed to deflect the heat and flames –- but not all of the bodies were found inside them. 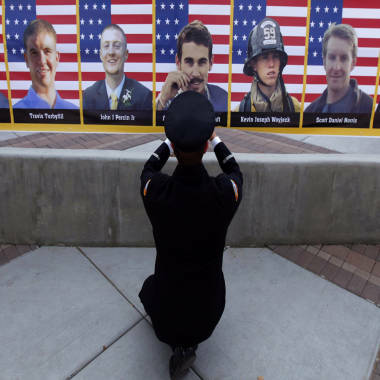 They were saluted by Vice President Joe Biden during a Tuesday memorial service, attended by thousands of locals and firefighters from around the country. Individual funerals began Wednesday, and some firefighters' remains were returned to their families in California. Their colleagues had little time to grieve as gusty winds and extreme heat fanned the flames, but now 15 days after it started, the fire is under control. He added that remaining crews are walking the charred perimeter of the fire ensuring that the firelines will hold and beginning to restore the habitat.